Integrate MailChimp with eDirectory and sync new subscribers to linked MailChimp account. Build in a newsletter form to collect email addresses and have them automatically added to your corresponding MailChimp account. On the homepage of your eDirectory website, there will be a section which displays a Newsletter Submission Form. All information provided here from the user will be sent out to the provided campaignID in your MailChimp account. 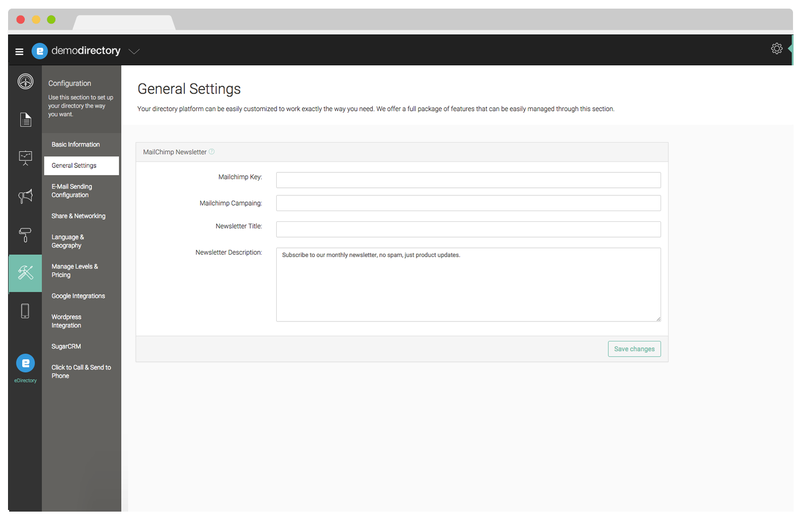 In the sitemgr area, the site administrator will be able to set their MailChimp Key, Campaign, Newsletter Title and Description.